In the Russian-occupied Crimea, the security forces are conducting searches in the homes of the Crimean Tatars. Lufthie Zudieva reported on another wave of searches on her Facebook page. “Urgently!!!! Information was received that currently a search being conducted in the village of Pushkino (Sovetsky district) in the house of the Crimean Tatars,” she wrote. According to preliminary information, the search takes place in the home of a teacher of junior classes, a teacher of the Crimean Tatar language Lenara Mustafayeva and her husband Mustafa. Moreover, the security forces are searching the house of Mustafa's mother, Adzher Mustafayeva on the next street. The reasons for the searches are not known to any of them yet. Reportedly, the FSB officers later arrived from Sevastopol to conduct yet another search in the house of Lenara Mustafayeva's sister in the village of Zhuravki. 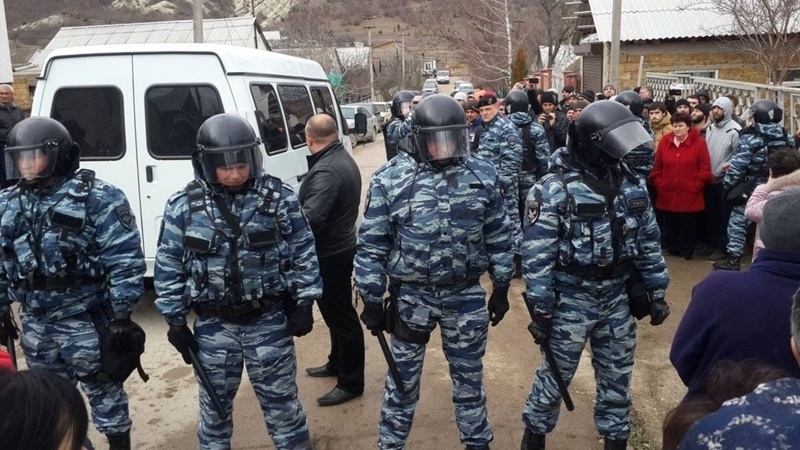 Earlier QHA reported that on November 8 in the Crimea the homes of Crimean Tatars were searched, after which several of people were detained, and their phones or laptops were seized. One of the detainees - Seitumer Seitumerov - was taken to the police department of Bakhchysarai. Seitumerov is known as a photographer, economist and administrator of the "Salachyk" cafe, owned by Marlen (Suleiman) Asanov, who was detained on October 11. It is also known about a search in the village of Kirovskoe, in the Shkolna street in the house of the Chairman of the regional Mejlis Ekrem Abdulvatov. His phone and a laptop were seized as well. In Staryi Krym, security forces searched the activist Alimdar (Ruslan) Narimanovich Belyalov, who was fined for an active position and coverage of events in the Crimea (in particular, searches and detentions in Bakhchysarai on October 11, 2017). During the search, a large sum of money was seized from him, namely $ 3,000 and 60,000 rubles, which was done without drawing up an appropriate protocol. His phone was taken as well for studying contacts and correspondence. Five employees of catering facilities who worked for Belyalov were also taken to the district police department. They were Asan Zekeryaev, Alim Zekeryaev, Resul Abduramanov, Mustafa Isayev, Amet Umerov. Law enforcers intended to take their DNA samples and fingerprints. Physical force was used against some of them.